Belt Tensioner / Clutch :: Go-kart powered by a lawnmower engine! Using a Belt Tensioner to act as a Clutch allowing the kart to stop with the engine kept running. 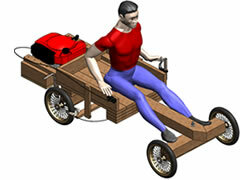 Below is the 18th drawing in the set of 21 for this lawnmower powered wooden go-kart. Adjustable belt Tensioners are extremely common, and believe it or not, were used on old cars and motorbikes! 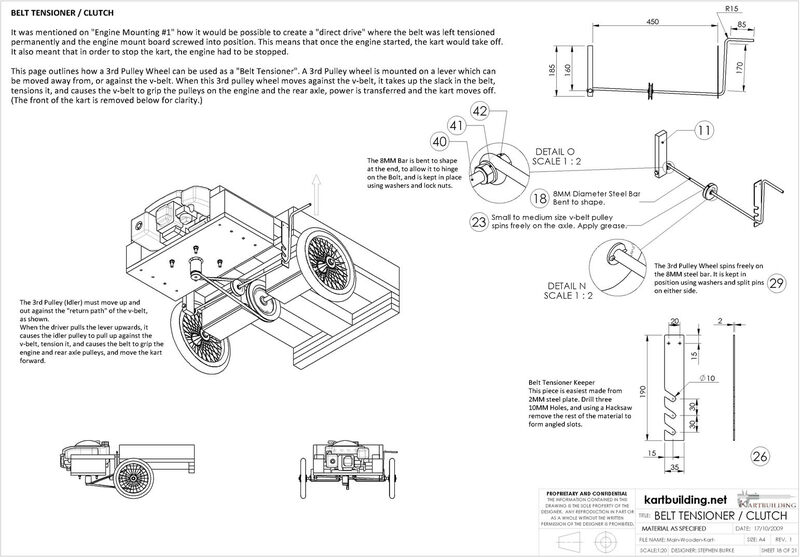 (See here) A lever must be fitted between the engine and the back of the chassis. This lever must be free to move up and down. On the middle of this lever is a small v-belt pulley. Make sure to apply plenty of oil and grease inside this pulley wheel as it must spin freely on the lever and not wear excessively. 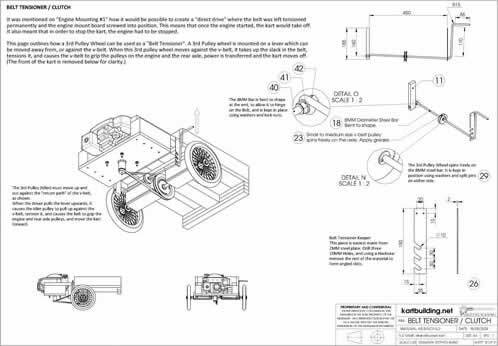 The end of the lever needs to be bent upwards to allow the driver to reach back and lift the lever up, and thus making the kart move forwards. It would be possible to further adapt this system and use a cable to operate this lever, however that would require a lot of work to be successful.